Harpoon was the first computer game that I became addicted to. I would go to my friend Jerry’s dorm room, boot it up and sink a Yankee fleet or two. The more realistic but less user friendly Harpoon 2 left me cold, but I bought Harpoon Classic – the first game with all the battlesets ever made for it – the moment I saw it on a shelf at Computer City. The thrill of steering an Oscar sub into the middle of a carrier group and unleashing hell just never got old. The sad story of Harpoon 4, then, is one that longtime grognards like me know by heart. 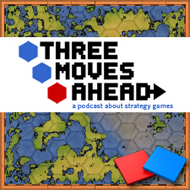 It’s a tale of business consolidation, one man’s single-minded desire to bring a game to life and how the fading of wargames as a viable genre means that a game can be in production for six years and still have nothing to show for it. When Larry Bond posted this message on the Ubisoft page devoted to the game, most hope was already lost. The work on Harpoon 4 began in 1997 at SSI and Mattel. The original launch date was someday in 1999 and, by the appearance of the game in this preview, it was well on its way to completion. In its initial design, the game would be very similar to the classic Harpoon. The unit icons look very similar and the much touted 3D mode would be used very sparingly by most players. It wouldn’t be eye-candy; it would be an alternate view that would privilege utility over glitz. There would be a pseudo-dynamic campaign in which fleet losses would carry over from scenario to scenario. The first delay came when SSI changed development teams in late 1998. Crusaders’ Studios was replaced by Ultimation, the developers of Panzer Commander. The official reason was the original group was not a “good fit”. How ill a fit? So ill-fitted that most of the code written by Crusaders was scrapped even though some of the design decisions were kept. Press reports give the impression that Crusader Studios had begun to push for a greater emphasis on the 3D component at the expense of the rest of the project. The change in teams meant a further delay, though there was still hope that the game would get released in 2000. That deadline came and went. And, in spite of the early worries that 3D was becoming too prominent, whatever screenshots were released tended to highlight the 3D aspects of the game. The next major shock to Harpoon 4 was the sale of SSI by Mattel to French gaming behemoth Ubisoft in early 2001. Ubisoft decided that it had little interest in pursuing Harpoon 4 – completely understandable considering the state of wargames in the mass market. To paraphrase Bill Gates by way of the Simpsons, Ubisoft didn’t become rich by writing a lot of checks. Ubisoft was more interested in pursuing World War 2 wargames and a modern naval simulation just didn’t make good business sense, no matter how distinguished its pedigree. By April 2001, though, a bright spot appeared on the horizon. Ubisoft had a change of heart, probably because of the continuing lobbying and commitment of Larry Bond, the brainchild behind the original boardgame and driving force behind the computer series. The mini-crisis of cancellation and renewal undoubtedly delayed production even further. Fast forward to 2002. At that year’s E3, Executive Producer Carl Norman told Jeff Vitous and Mario Kroll of Wargamer.Com that Harpoon 4 would ship by Christmas “if it kills us.” In an open letter to their fans, Larry Bond promised that the game would be done, though the interface would have to be rewritten. Screenshots that appeared on Gamespot early the next year showed little improvement or even change since the termination of Crusader Studios, though, so if they were not using Crusader code at this point, the similarity of look raised more questions than it answered. Did they revert to Crusader code? If not, did they just keep their interface? And why does the game still look stuck in 1998 four years later? True grognards care little about graphics, but the game was supposed to be a simulation hit that would bring in new gamers to Ubisoft’s wargaming projects. Clearly, a lot of old screenshots are mixed with a few new ones – very few. And the only obviously new shots are of the 3D engine. Any E3 demo was behind closed doors and was very incomplete. By the end of 2003, the troubled production came to an end. Ubisoft pulled the plug on the game, and despite Bond’s public commitment to keep the dream alive, we hear nothing one year later. Harpoon 4 could have been the greatest naval sim ever – it even promised multiplayer – but it appears never to have really moved beyond the planning stage. Seven years of promises and speculation have doomed games before (Does anybody really expect Duke Nukem Forever to be any good? Or Grimoire?) But for a wargame to go through these dramatics with no immediate pay offs is suicide. You could blame the chaotic corporate environment. First, you change developers, and the new ones just don’t seem to be very productive (few screenshots or even concept art, so I think this is a fair judgment). Then your wargame heavy parent company, SSI, is bought out by a game maker with an iffy commitment to your project. Eventually you persuade them to stick with you but you are facing an uphill battle with a real life naval simulation about a global conflict that never happened, and probably never will. Blaming the suits is the easy way out. The more you read the dismal tale, the more apparent it is that there is no wizard behind the curtain. Promises, promises and little else. The repetitive screenshots are mostly mockups – not real screens – and after six years you have nothing to show journalists that might keep people talking about your game. In an industry that moves as quickly as the gaming business, buzz is everything and buzz means that you have to keep showing people something. In the end, Harpoon 4 had nothing to show anyone. Simply put, niche genres like wargames can’t afford to take forever to make, especially if you want to make a high end product that requires the deep pockets of a major publisher. If you are willing to invest your own time and money and take you chances with Matrix Games or Battlefront you have a much better chance of success than by depending on the whims of a large gaming house that needs to justify the continued existence of every project. The lesson is simple. Produce or die.